30 March 2014 Local Elections were held in Turkey at the end of an extraordinarily political process and in a highly polarized atmosphere. The election exceeded the limits of the characteristic of “being local” due to such developments recorded in the pre-election period as anti-government social opposition raised against Justice and Development Party (JDP) by Gezi Park protests, tension between judicial and executive organs resulting from the power struggle between the political, social and economic interest groups and corruption investigations opened against the ministers. Ruling JDP Government turned the election into a confidence vote and Turkey entered into the local election process with the new metropolitan model (“Whole City” model). Colorful, vivid and costly election process ended up with a political geography of local election, which should be subjected to new and important analyses. Thus this chapter discusses the issue of local autonomy over pre-election propaganda process, new metropolitan municipality model, election results and political geography analyses. Municipalities other than metropolitan municipalities remained in the background. Meanwhile, in the pre-election process, financial markets faced crisis and partial currency devaluation occurred due to the so-called “17 December” corruption inquiries. To have remained under the pressure of corruption and financial crises, Justice and Development Party (JDP/AKP) focused its local elections strategy on the slogan “municipalities rendering services not doing politics”, as the case in Poland where the elections slogan was “don’t do politics, build bridges” (See: Galuszka et al., 2013, p. 807). Results of the 30 March 2014 elections showed that economic crisis had insignificant impact on the election results. However, this elections process provides important data on the limitations of the financial autonomy of local governments and manipulation of local elections by the ruling party which canalized all tools it has to the elections. The case valid for the detections on the election campaign and process was also valid for the evaluation of the election results and post-election atmosphere. Country-wide voting rate, the number of municipalities won and the geographical distribution of mayorships were regarded as the components of the vote of confidence receipt by and acquittal of the ruling political power rather than organization of local governments. In proportion with the high voting rate, this discussion was interpreted as a support for the candidacy of the incumbent Prime Minister Erdoğan for the Presidential elections were held on 10 August 2014 in order to elect the 12th President of Turkey (Keyman, 2014, pp. 144-146). Following completion of the actual elections, another discussion raised: whether a deceit was practiced in physical counting of votes. Important objections were made to election results in some cities, particularly in Ankara, the capital city of Turkey. Moreover, re-election decision was made for the provincial municipalities of Ağrı and Yalova, some sub-district municipalities and some town municipalities. 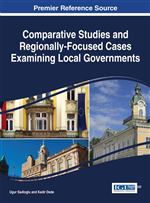 This study aims to address and evaluate both the campaign and propaganda phases and the results of 30 March 2014 local elections in the framework of “local autonomy”, as it should be. Reflections of the general agenda and discussions resulted in remaining in the background or ignorance of the normative basis of local governments such as locality, local autonomy, local democracy, representative, responsible and accountable government, division of power and participation (Goldsmith, 1992, pp. 393-394) and local leaders, local agenda, promises and elector expectations. Thus, discourse styles dominating election process and the election results provide important data and evaluation criteria for comprehensive assessment of local autonomy.